I must admit that I write this blog as a white pastor trying to understand the plight of a black pastor–a black pastor who was gunned down while pouring into ten of his parishioners Wednesday night. Ralph West is a black pastor from Houston, Texas whom I podcast. In January he preached a sermon on Psalm 129 called “Haters.” He says it better than I can. “Listen” in to a few excerpts. 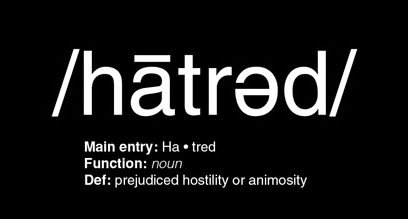 It’s one thing to read about haters…it’s something else to be hated. Haters hate. And nobody’s off limits from being hated. Psalm 129 begins with the reality of haters. Ishmael derides the promised child Isaac. He’s a hater. What God blesses God always increases. You would think with all that blessing you would be off limits to any kind of ridicule. The enemies of Israel tried at every attempt to exterminate their existence. Egypt tries to drown them–in return they are drowned. The Assyrians come up against them to try to starve them and God breaks their back. The Babylonians exile them and God emancipates them. The Persians and their soothsayers throw Daniel into the lions den and God closes the mouth of the lions and opens their mouths to eat the very people who threw them in. Then in the 20th century six million Jews were exterminated and yet Israel became a nation again. When the Psalmist says, “They plowed my back…” he is talking about suffering and abuse, mistreatment and ill treatment. Here’s the line that needs your attention: but the Lord is righteous. Things were bad for Israel, yet they were able to say in the midst of ill treatment, “But the Lord is righteous.” Whatever evil and wrong comes your way, God may not make it right when you want him to, but according to his divine calendar, God will make it right. Stop trying to fight haters with hate. God will uproot them and they cannot abide with you. Martin Luther King said, “Violence as a way of achieving racial justice is both impractical and immoral. It’s like abiding by the law, ‘an eye for an eye and a tooth for a tooth.’ If we deal with haters the way haters deal with us, we’re going to have a blind and toothless society.” You have to let the Lord deal with the haters. When hate comes your way don’t think God’s mad at you–He’s trying to make you. He’s not trying to break you, he’s trying to bless you. And remember you’ve got a Jesus who’s dealt with it. Wow….Ralph West had deep insight. Thank you for sharing his sermon.